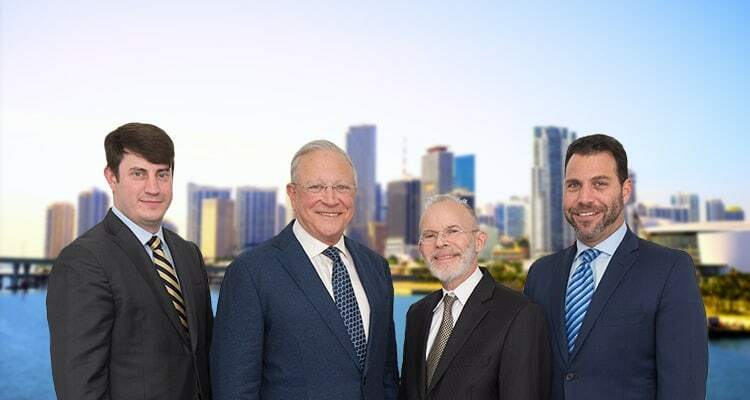 Contact Coconut Grove Bike Accident Lawyers Gerson & Schwartz, P.A. Coconut Grove is one of Miami’s oldest neighborhoods. It is also one of the greenest neighborhoods. Many of the streets are lined with old, thick vegetation. That makes biking for fun, cycling competitively, or biking to and from work particularly pleasant. You can also bike along the water, enjoying a view of Biscayne Bay. Unfortunately, your commute, training, or enjoyment can be interrupted by a crash. While biking around the Grove, you could be struck by a vehicle and suffer serious injuries. Or, your child may be involved in an accident in the neighborhood. If you or your child were hurt in a vehicle-bicycle accident, contact our Coconut Grove bike accident lawyers at Gerson & Schwartz P.A. at (877) 475-2905. When another person is at fault for the crash and your injuries, then we can help you pursue compensation for your physical, emotional, and financial damages. Bike accidents, injuries, and deaths are an issue around the country. Unfortunately, Florida leads in bicycle-related deaths. In 2015, the National Highway Traffic Safety Administration reported Florida experienced the most bike crash deaths of any other state—150 cyclists were killed in traffic accidents. This amounted to a rate of 7.4 cyclist deaths per million residents. In 2015, California had 129 deaths, Texas had 50, and then no other state had more than 50 bike-related fatalities. The reasons for bicycle accidents and deaths in Florida are diverse. It has to do with the number of bikes and vehicles on the roads, road designs, traffic control devices, and safety practices—or lack thereof. After you are hurt in a bike crash, it is important to figure out what happened and why. Our lawyers will conduct an in-depth investigation. We will gather as much evidence as possible, including the crash report, photos and video, eye witness statements, and when necessary, expert opinions. We will use all of this evidence to find out who caused the crash. We will also analyze who is liable for compensating you for your injuries. Our bike accident attorneys in Coconut Grove have handled cycling accidents involving all types of injuries. Whether you suffered moderate harm or a catastrophic injury, give us a call. We are here to help you seek the compensation you deserve. After you are hurt in a vehicle-bicycle accident, it is important that you receive full and fair compensation for your physical, psychological, and financial injuries. When another person was at fault for the crash, then it is the other person’s responsibility to pay for it. All of the consequences of the accident should not fall on your shoulders. However, holding the at-fault driver responsible can be tough. Most drivers and their insurance companies will want to deny liability if they can. Or, the insurer may have to approve your claim, but will look for any way possible to limit your pay out. An insurer will try to say your injuries are not as severe as you claim. They may claim you are trying to recover compensation for an injury you suffered before the crash. Another common defense is accusing of contributory negligence. By hiring a bicycle accident lawyer to represent you, you improve your chance of receiving an appropriate settlement. An insurer may try to push you around and urge you to accept a low-ball settlement. They are less likely to do this or get away with it to an experienced attorney. Also, our team at Gerson & Schwartz P.A. are all highly experienced in negotiating settlements. We are not intimidated by major insurers and their teams of lawyers. We also are not afraid to take your case to court if an insurer refuses to approve your claim or participate in good faith negotiations. If you or a loved one were injured in a bike crash in Coconut Grove, Miami, do not hesitate to call us for help. Our team at Gerson & Schwartz P.A. is here to help you fight for fair compensation. Contact us online or call our Miami-Dade County office at (305) 371-6000 to schedule a free consultation.